The Black Priors are protectors of the battlefield. Masters of the sword and shield, their powerful defense is their offense. Bulwark Stance allows them to block attacks from all directions and Bulwark Counter can negate any attack as long as it is timed correctly. Bulwark Counter: Negates all opponents’ Attacks and Unblockables. It does not work on Guard Break. The Black Priors arrived at this port town on the shores of Lake Eitrivatnen to help the Knights defend against their enemies. 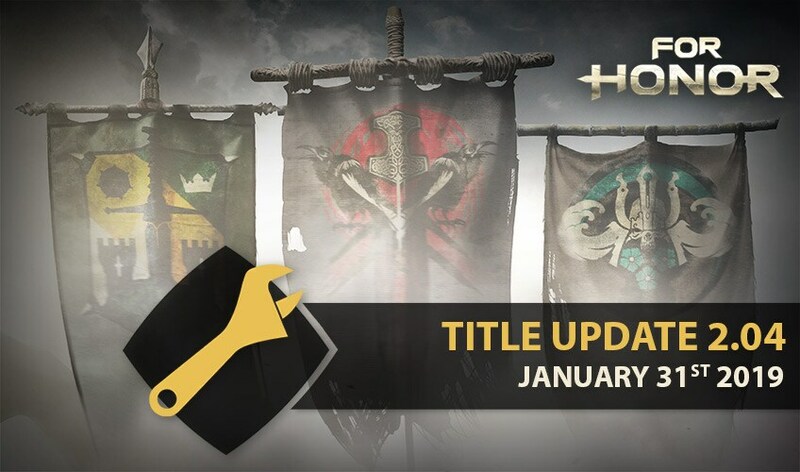 The map is available in Dominion, Elimination, Skirmish, Brawl and Duel. Developer Comment: The goal of these Shugoki improvements is to allow the Shugoki to initiate combat, and sustain it into a mix-up allowing a potentially successful finisher. Further, Shugoki should be able to sustain pressure even after landing the Finisher (especially if done with Demon’s Embrace). Shugoki’s unique Passive Uninterruptible Stance no longer exists. Instead, many of the Shugoki’s strikes gain the normal Uninterruptible Stance property. Developer Comment: This aspect of the character led to extremely passive and defensive play where the Shugoki would wait for an attack to ignore it and land a guaranteed Guard Break or Light Attack. With this change, we hope to encourage attacking and rewarding the Shugoki with favorable trades using its attacks’ Uninterruptible Stance. HP lowered to 140 (from 160). Developer Comment: Shugoki no longer takes more damage when its Passive Uninterruptible Stance is gone (since he no longer has it), but his Demon’s Embrace is now a much more reliable way to heal himself, so lowering his max HP felt needed. Light Attacks are now 500ms (down from 600ms). Developer Comment: At 600ms, the Shugoki’s Lights were too easy to parry, discouraging players from using them to initiate combat. Uninterruptible Stance should also help them become very good at trading damage with opponents. Can now fully charge the Heavy Finishers to make them Unblockable. Heavy Attacks can now be feinted even after they’ve become Unblockable. Can still press Guard Break to cancel them into Demon’s Embrace like before, but it is now possible to cancel Heavies into it even after they have become Unblockable. Heavy Attacks now gain Uninterruptible Stance during the Strike. Uncharged Heavy Attack Openers Strikes are now 800ms (down from 1100ms). Uncharged and Fully Charged Strikes now all cost 12 stamina to perform instead of having a base cost of 12 and higher costs depending on the amount of charge. 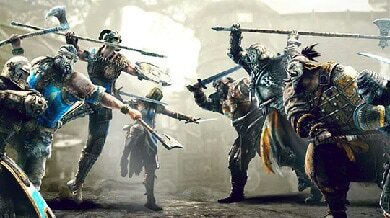 Developer Comment: The Shugoki’s Heavies used to require huge commitment with high stamina costs and little expectation of the mix-up working. With these changes, we hope to give the Shugoki much more threatening chains and variety in his attack approaches. Headbutt is no longer guaranteed after a Light. Headbutt may now be performed after any Light Attack Opener, Heavy Attack Opener, or Zone Attack, whether they HIT, MISS or BLOCK. Headbutt deals 50 stamina damage (down from 80), stuns and allows a link to Heavy Finishers. Headbutt no longer pushes the opponent away. Developer Comment: The old Headbutt used to be a good disabling move, but it only succeeded in pausing the fight and putting distance between both players. The new Headbutt can be performed more often, keeps the opponent close and encourages continuing pressure. The intention is that the following Heavy Attack Finisher creates a dangerous mix-up of Heavy Attack Unblockable, or feint into Guard Break, or soft-feint into Demon’s Embrace. Demon’s Embrace can only be performed by pressing Guard Break during a throw OR by cancelling any Heavy Attack with Guard Break. Has Uninterruptible Stance starting at 500ms and hits as early as 900ms (down from 1200ms) from short range. Now always heals for 25 (down from 40) and deals 25 damage (down from 40). The critical health one-hit kill version no longer exists. Completely now refills stamina on a successful hit. No longer drains 40 Stamina from the target on a successful hit. Now costs 35 Stamina (down from 45) and no longer deals damage to the Shugoki on Miss (used to deal 60 Damage). The bind on a successful hit can now be interrupted by friendly and enemy attacks. Demon’s Embrace will no longer interrupt opponents during their Revenge Activation. Developer Comment: Demon’s Embrace has always been an iconic move for the Shugoki, but it was very hard to place in a 1v1 situation since it was easy to react to and the guaranteed hit after a throw required a wall nearby. By allowing all Heavies to cancel into it even after they become Unblockable and making it faster, it should do a better job at punishing opponents’s mistakes. We also wanted to get rid of the ability for one Shugoki’s Demon Embrace to cause a confirmed kill when Shugoki had teammates around, so we made the move vulnerable to interruptions. Zone Attack now gains Uninterruptible Stance at 400ms. Zone Attack is now a single strike – but this links to Headbutt and the Heavy Finishers. Developer Comment: We hope the improved speed and ability to flow into Finisher will make it more useful in group fights, and to close-in distance to opponents trying to stay out of range. Is now a Top Stance attack. Links to Headbutt and the Heavy Finishers. Strike is now 800ms (down from 1200ms). Developer comments: Hard to Kill was a good way to reduce the increased damage taken when the Shugoki’s Passive Uninterruptible Stance was on cooldown, but since it no longer exists Hard to Kill’s values were way overtuned. By lowering the values by 20%, we are essentially offsetting them by the same percentage of extra damage Shugoki used to take when he was vulnerable. [Bug Fix] Fixe an issue that caused the Shugoki to perform a 180 degree rotation on himself at the start of the Charge of the Oni. We fixed this while still letting the Shugoki adjust the angle of the move in a less jarring way. Developer Comment: The goal of these Peacekeeper changes is to improve the ability for Peacekeeper to perform enough damage in striking, get kills, and get executions. Before Peacekeeper’s damage was lowered in Season 6, she was very strong – now that she has useful Dagger Cancels, we’re trying to find that mid-point where damage is good enough, but not quite as high as before. Guard Break timing now allows 800ms Side Heavy Openers to connect. It is now possible to perform a Zone Attack after a Guard Break. Developer Comment: Peacekeeper’s Guard Break wasn’t standardized with the other heroes, so the only damage-dealing option to perform after the Guard Break was the Stab. With the current changes you have now a full set of options after a Guard Break: Stab, Side Heavy Openers and Zone Attack. Top Heavy Opener now deals 23 damage (up from 20). Top Heavy Opener is now 900ms (up from 800ms). Developer Comment: The changes on the Top Heavy Opener allow Peacekeeper to have a higher damage Light Parry Punish (without it being guaranteed on a Guard Break). Dodge Attacks now deal 17 damage (up from 15). Heavy Attack Finishers now deal 27 damage (up from 25). Light Attack Openers now deal 14 damage (up from 13). Deep Gouge now cost 12 stamina (down from 25). Dagger Cancel now cost 6 stamina (down from 10). Zone Attack stamina cost is now 40 for the first strike (down from 60) and 20 for the second strike (up from 0). [Bug Fix] Fixed an issue that caused the Peacekeeper to sometimes visually run in place after performing a Zone Attack. [Bug Fix] Fixed an issue that sometimes caused the Peacekeeper to do a 360 rotation when switching to Left stance after blocking a Heavy Attack. Developer Comment: The goal of these Warlord improvements is to remove the 1v1 power of the Crashing Charge. We’re not happy with Out of Lock attacks being the defining feature of a character in 1v1 situations, so here we instead emphasize Warlord’s Locked combat abilities by giving him new chain options, and improving the basic attacks. Shield Charge is now active only after 500ms (down from 300ms). Lunge Strike does not guarantee a Headbutt on block anymore. New chains added: Light > Light, and Heavy > Heavy. All Light Finishers are now 500ms (down from 600). [Bug Fix] Fixed an issue that caused Parries attempts while exiting Full Block Stance to always miss. Now only winning or losing a match has an impact on your personal Skill Rating. To allow this change to have the proper impact on matchmaking, we are resetting the Skill Rating of every player. Developer comments: To improve the matchmaking accuracy, we’re updating the methodology to calculate Player Skill. Now, only the win/loss will be taken into account, all the layers linked to the player end match score (Kills, Renown, etc) have been removed. This change is effective in all modes, both ranked and unranked. .
Weekly unique Arcade: Pink Plasma Shock Effect. Regular unique Arcade: Altered Reality Battle Outfit. Developer comments: New rewards were added to the pool of Arcade rewards. They follow the same rules as before. If you already looted all the Crimson Conquest Effects, you will start getting Pink Plasma Shock Effects. If not, they will be mixed in the pool. Developer comments: If you have completed the requirements to unlock these items, it should be automatically added to your inventory. New Winter-themed Mask outfits are now available for all heroes! 1 Legendary armor set for Wu Lin Heroes. 25 new Weapons (different rarities). 12 armor sets (different rarities). Developer comments: We added new weapon and armor variations allowing for even more customization options for all of your heroes. With the recent release of the Wu Lin faction, they received one extra Legendary armor set. Following the community feedback, we modified the selection of Heroes to be show cased on the Main Menu to provide more diversity. The Black Prior will be prioritize but only during the first weeks of the Season. Sliding down on a player or attacking a player sharing a ladder does not deal damage anymore. It only knocks the opponent off. Fall damage has not been modified. Developer comments: Damage was applied inconsistently in these scenarios and we think ladder conflict should not be a valid form of combat. We slightly reduced the defensive capabilities of Level 2 and 3 Bots. Players will have more opportunities to land attacks and chains. Developer comment: Due to multiple players running into performance issues caused by controller drivers and how the game is set to detect multiple input methods, we added the option to select the controller type used and force the game to only accept inputs from this type. The option should be kept at “Auto” if no issues are experienced at all. [Bug Fix] Fixed an issue that caused the Feats to not unlock properly during matches when the Renown level is reached by “Multiple Kills” or “Aces”. [Bug Fix] Fixed an issue that caused the Healing Points in Breach, the Capture Zones Healing in Dominion and Health Boosts to not cleanse Bleeding effects. [Bug Fix] Fixed an issue that sometimes caused an attack to hit twice when close to a wall. [Bug Fix] Fixed a visual issue with the Conqueror’s Top Light Attack. Chains Heavy Infinite, all direction. Chains Light Infinites, all direction. [Bug Fix] Fixed an issue that caused the Berserker's back thrown to not unbalance the opponent if he bumps into an object. [Bug Fix] Fixed an issue that caused the sound effects on the Kensei’s Side Dodge Heavies and the Side Lights to trigger too late during the moves. [Bug Fix] Fixed an issue that caused the Kensei's Top Heavy to not interrupt the Shaman's "Predator's Mercy". [Bug Fix] Fixed an issue that caused the Orochi to trigger the last used block stance after performing any combat emote. [Bug Fix] Fixed an issue that caused the Deflect to not cause any damage to Hyper Armor. [Bug Fix] Fixed an issue that was causing the left Unblockable Heavy of the Highlander to have less vulnerability to Guard Break. It now has 400ms vulnerability to Guard Break (Up from 100ms). [Bug Fix] Fixed an issue that allowed the Shaman’s to snap to an extremely far target by switch target during her Light attack chain. [Bug Fix] Fixed an issue that caused the Shaman to trigger the last used Block Stance after performing any combat emote. [Bug Fix] Fixed an issue that sometimes caused the Aramusha to play a jump animation when switching stance to Top after canceling “Rushing Wind”. [Bug Fix] Fixed an issue that was allowing the Tiandi’s “Palm Strike” to hit through railing. [Bug Fix] Fixed an issue that was preventing the target of Tiandi's “Palm Strike” to activate Revenge for the full duration of the reaction. You can now activate Revenge after 300ms (down from 700ms). [Bug Fix] Fixed an issue that would allow an external player to move the victim of “Jade Ballet”. [Bug Fix] Fixed an issue that sometimes allowed the Jiang Jun’s weapon to go through the wall before the “Environmental Block” is triggered. [Bug Fix] Fixed a visual issue that would cause the blood visual effects to be offset after certain moves like “Scheming Wind” and “Vigorous Sway”. [Bug Fix] Fixed an issue that caused the Jiang Jun’s “Dou Shi Choke” to behave inconsistently when performed in close quarters. [Bug Fix] Fixed an issue that caused the Jiang Jun’s “Benefaction” feat to not trigger on the Commanders in Breach. [Bug Fix] Fixed an issue that caused the “Fire Trap” feat indicator to be delayed when the trap is activated by opponent already standing inside its trigger area. [Bug Fix] Fixed an issue that caused the “Conqueror” feat to appear active when boosting the Ram in Breach. [Bug Fix] Fixed a visual issue that caused the weapons to be instantly sheath and offset on the Hero when entering the Ballista. [Bug Fix] Fixed an issue that allowed the Ballista projectiles to pass through some objects in Hallowed Bastion. [Bug Fix] Fixed an issue that caused the player to be teleported at the Flag spawning location if the Flag is picked while the Ram moves over it. Player will now only be pushed back by the ram now. [Bug Fix] Fixed an issue that caused the Offering to drop when performing a Counter Attack without taking any damage. [Bug Fix] Fixed an issue that caused the Bots to be unable to react properly to the Kensei’s Zone Attack. [Bug Fix] Fixed an issue that caused the player to be kicked for Inactivity if the controller is unplugged, before moving, at the beginning of match. [Bug Fix] Fixed an issue that caused the message “Play Practice before joining a group” to be displayed if an invitation is accepted before reaching the main menu. [Bug Fix] Fixed an issue that sometimes caused the message “Waiting for Group Leader” to be displayed when the Group Leader leaves. [Bug Fix] Fixed an issue that sometimes caused the group members to see an empty World Map instead of the Matchmaking screen. [Bug Fix] Fixed an issue that sometimes caused the confirmation pop-up to not appear after editing the Emblem. [Bug Fix] Fixed an issue that sometimes caused the Post Match timer to remain displayed on the main menu after leaving the session. [Bug Fix] Fixed an issue that caused the Reputation 60 Effect, “Sulfuric Sparks”, to not be part of the Reputation 60 Outfit. [Bug Fix] Reduce the duration of the finish kill “Yasuraka” to give back control to the player more quickly. The Health gain from the execution remains the same. 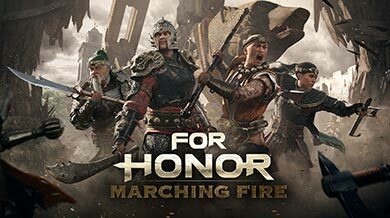 [Bug Fix] Fixed an issue that caused the Reputation 50 Outline to not be unlocked when reaching Reputation 50 on the Wu Lin’s Heroes. [Bug Fix] Fixed an issue that caused the Orochi’s Reputation 26 outfit to be missing the Bonsai symbol. [Bug Fix] Fixed a visual issue with the Conqueror’s “Death Card” emote. [Bug Fix] Fixed a visual issue with the Gladiator’s “Rock, Paper, Scissors” emote. [Bug Fix] Fixed an issue that caused the Berserker’s camera to be misaligned while performing the execution “Move it Along!”. [Bug Fix] Fixed an issue that caused the Jiang Jun’s “Fly Swatter” execution to become offset if an ally passes in between him and the opponent. [Bug Fix] Fixed an issue that caused the Lawbringer’s “Knock Knock” execution to become offset under certain circumstances. [Bug Fix] Fixed an issue that caused many executions to be missing their controller rumble feedback while being viewed in the Hero Customization screen. [Bug Fix] Fixed an issue that caused Text chat information to appear in the event log after entering any arcade quest alone. [Bug Fix] Fixed a crash that would occur during the Faceoff screen if Ambient Occlusion is set to HBAO+. [Bug Fix] Fixed an issue that would cause a crash when switching the display from a Monitor to a TV screen.